I have been heading in a new direction this last year with my quilt making style. 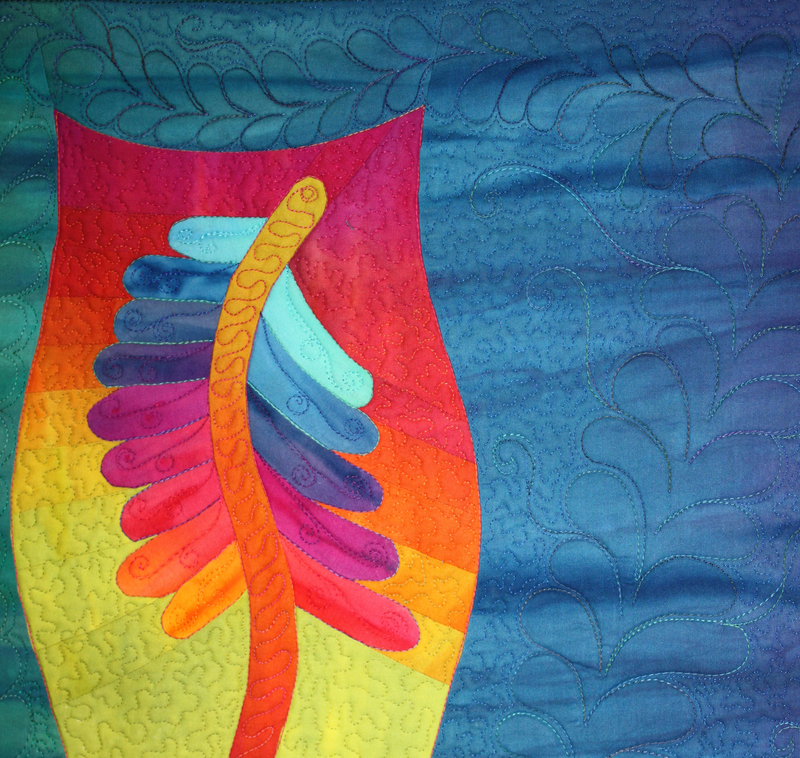 I have always loved curves and have done some free-form curved piecing, on some new pieces that use the technique that will be featured in the upcoming Quilting Arts magazine. This new freezer paper technique allows me to achieve crisper and easier curves, that I am calling “creative crisp curves”. This method uses freezer paper templates to achieve success with curved piecing. This little quilt will be in an exhibit that will premier at the IQA quilt show in Chicago this April. The exhibit is called Explorations. My piece is titled “Rainbow Pine”, how I am exploring curved piecing in my art work. 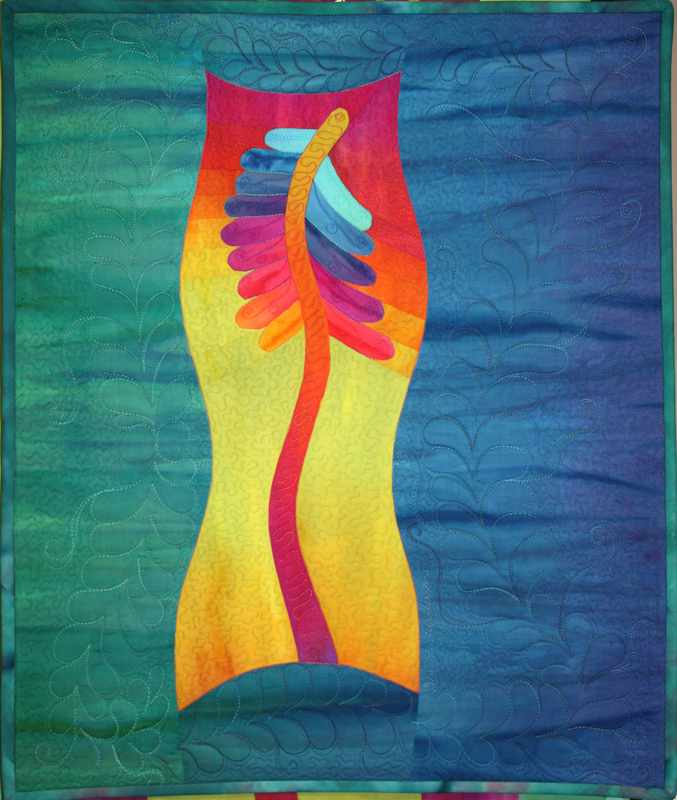 It measures 18″ x 24″ and is all pieced using the freezer paper technique. Love this new piece! I look forward to seeing the freezer paper technique in the new QA issue. In thinking about it, there is probably less waste and the ability to do more intricate curves than in using the method in which 2 hunks of fabric are stacked, cut lengthwise into a gentle curve, then one side of the top is discarded and the opposite side of the bottom discarded in order to line up a top and bottom piece….is that as clear a mud? ..sorry… just rambling. Would love to see you do another Craftsy class. Thanks Pat, I’ve been thinking about doing a CRAFTSY class. We’ll see.